Golfers are required to wear a collared polo shirt while on the golf course. No denim is allowed, jeans included. There is no mandatory dress code at the driving range. Golfers will be charged a $10.00 fee per rider. Riders are considered any persons over the age of 15 who are not playing on the course. Juniors 15 years old and younger ride for free. ​Walking is not allowed at Costa Del Sol Golf Club. Thank you for your cooperation. Beverage coolers are not allowed on Fridays and Saturdays as a beverage cart will be provided on the course. ​A ranger will be present on the course to ensure rules are enforced. ​Thank you for following Costa Del Sol Golf Club’s rules. 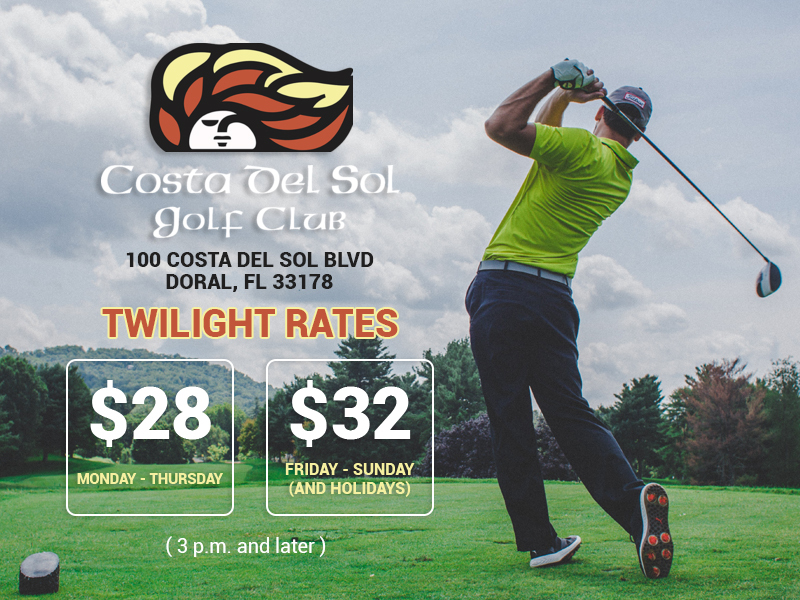 We do our very best to make sure your golfing experience here is fun and memorable.